How can I reuse or recycle stale rolled oats? | How can I recycle this? 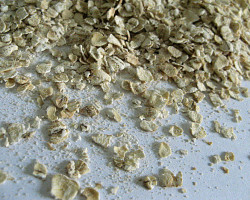 How can I reuse or recycle stale rolled oats? 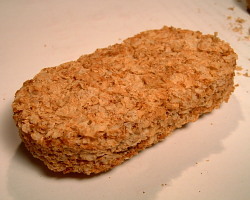 Friday’s post about Weetabix reminded me of something that happened last week. After indulging a little too much of late, John was having a week without sugar and he had to find alternative to his usual added-sugar fruit and fibre breakfast cereal. He hadn’t planned it too well and we didn’t have much in, so he decided to have porridge from some oats we’d had in the cupboard for a while. I came downstairs to find him like a little kid, going “urrrrgh” with the half-chewed oats on his sticking-out tongue – they’d taken on that extra special “cupboard smell”, the one which smells stale and a tiny bit like the other hundred things we keep in that cupboard, from ginger and porchini mushrooms, to liquorish and dried chillis. If you put some into a piece of muslin and tie it up like a bag, you can swish it around in any water you’re going to wash in, to help moisturise skin. It’s especially good for treating eczema. Could they be used to fee rabbits or other pre-school animals? Maybe these could be mixed with potting soil to create a looser potting medium…. ? I know you are going to say “she always says that”, but I have to say it anyway…feed it to your chickens, they will love it…he he. 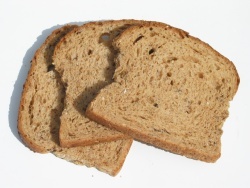 Even though they’re too stale to make oatmeal with, you can still toast them up a bit and use them in place of bread crumbs for meatloaf or meatballs or anything else that needs a starchy filler. You could play a really fun game with it where you throw a handful up into the air and then you have to guess how many oats have fell onto the floor. You then count them up and hope you have guessed the right amount. If you do you can give yourselve a prize of your own choosing. If you are wrong then you have to start again. It may not sound that good but trust me… IT IS. Andrew Walker you are cracking me up. My sides are sore from laughing at your suggestions. Make them into soaps and candles. I usually pick up glycerin soaps on sale at Bath & Body Works, melt them down, and mix them with botanicals. There may be something similar at craft stores that would work well with oatmeal as well. 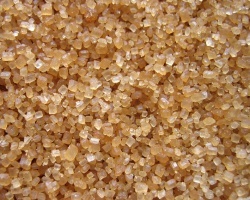 And the colour and texture of oats look great in pale blue or cream-coloured wax! To take Heather’s great suggestion one further, put oatmeal in a clean cotton sock … one where the dryer ate the other one … and swish in a lukewarm tub as THE BEST cure for poison oak or ivy, and probably other skin rashes as well. It’s a colloid and soothes the itching. Pat dry after. Beats the chemical cures. homemade creams and soaps and scrubs etc, also the idea for the bathwater sounds good too. you could make friends with a horse =D…. Can you make them to a cork board?????????????? ?